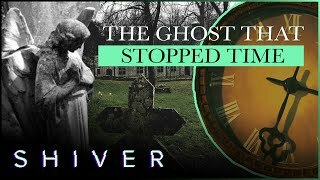 Cardiff is officially the most haunted place in Wales, it boasts a higher number of reports of paranormal events than any other place throughout the whole of Wales. If you're feeling brave then below are the ten most haunted places in Cardiff. The Corporation is a Grade II heritage listed pub, which originally opened in 1889. It looks a little spooky with its dark grey sandstone finish and a four storey tower above the main entrance. Regulars have said they've seen a ghost wandering around the two pool tables. Sadly you won't be able to go ghost hunting in The Corp any time soon, as the pub closed in March 2016, locals are hoping this will just be a temporary closure. 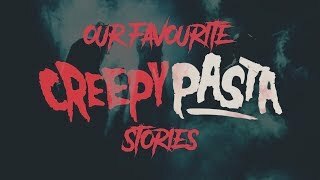 The iconic Millennium Centre in Cardiff Bay may be the newest building on this list of haunted locations, but that doesn't mean that people visiting the building don't experience unusual occurrences. The Millennium Centre is situated in part of Old Cardiff, an area of the city which is steeped in history. Reports claim that experts were asked to help examine some mysterious footage taken in the former Victorian docklands in which the Millennium Centre stands in 2009. The video showed a woman dressed in a long skirt, blouse, bow tie, hat and scarf gliding above the pavement. The experts drew a blank, perhaps they should ask Torchwood for some help. Miskin Manor was built in the outskirts of Cardiff in the 10th century, today only the external walls of the original manor remain but a hotel exists on the site. Many guests have reported seeing the spirit of a lady that haunts the bar and drawing room, usually between midnight and 1am. The Oak Room is also said the be the location of many hauntings within the hotel, a ghostly figure believed to be the lord of the original manor is often spotted here. From time to time previous residents of the manor make an appearance too. Staff have claimed to have seen a family of ten ghosts sat around a dinner table and the ghost of a little girl playing in the garden. Llancaiach Fawr Manor is a Tudor manor house near the village of Nelson, north of Cardiff. The manor has been ranked one of the top ten most haunted locations in the whole of the UK, so it's no surprise that it features in Cardiff's most haunted places. The house is thought to have been built in around 1530 and is considered to be one of the most important gentry houses to have survived from the 16th and 17th century period. The manor is now open to visitors as a living history museum and at certain times of the year the staff run ghost tours so you can experience some of its spooky goings on for yourself. A medieval castle located right in the heart of Cardiff city centre. There's been a castle of some form on the site going right back to the 11th century. The castle is now one of the most popular tourist attractions in the city. Like most castles, Cardiff Castle has its share of resident ghosts, most of which can be found in an area known as "the palace" in the south-west corner of the castle grounds. Visitors to this part of the castle have reported seeing a strange mist, which takes the form of a faceless woman in a grey dress. The ghost is said to move things around in the early hours of the morning in the stock room. The ghost has also been blamed from opening and closing doors, causing lights to flicker and rearranging furniture. The Second Marquess of Bute, John Crichton-Stuart and six generations of his family lived at the castle. The Marquess died in the castle and is said to have been seen walking through walls and fireplaces as well as in the chapel where he died. His wife, Lady Sophia Rawdon-Hastings has also been spotted floating through the castle grounds at night. The museum and art gallery was founded in 1905 but shared a building with Cardiff Library until its dedicated, present home was completed in Cathays Park in 1922. The museum houses collections of archaeology, botany, fine and applied art, geology and zoology. As well as the 7.5 million items and exhibits stored within the museum, the building is also home to two ghosts. The first of the two ghosts is the spirit of the Unionist MP Lord Ninian Edward Crichton-Stuart, his statue stands in Gorsedd Gardens. Lord Ninian tragically died in action during the Great War in 1915. Visitors to the museum claim to have felt his presence around the statue, usually on election nights. The second ghost that frequents the museum is Arnold Dunbar Smith, an architect who designed the building along with Cecil Brewer. Following Smith's death in 1933, the museum inherited his ashes and they were placed on display in the museum until a few years later when they were moved to make way for new public toilets. It's believed these renovations and the relocation of his ashes angered Smith and he now haunts the corridors of the museum at night. The haunting has been described as poltergeist-like with reports of furniture and other objects moving. In the 1960s a paranormal investigator claimed to have made contact with Smith's spirit in the museum's basement, Smith reportedly said "the wrong place," which can only refer to the fact that his ashes were moved. I remember being in the back of the car, driving along the M4 as a kid and looking up at Castle Coch in the forest on the hillside, it looked like a fairytale castle. My older brother told me that the castle was haunted by thirteen ghosts. With a history going back before Roman times, Cardiff was a small town until early in the nineteenth century. 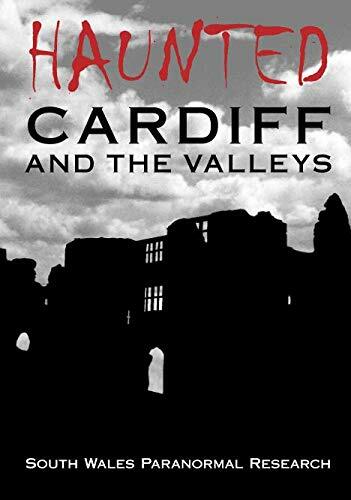 Filled with tales of ghostly cars and ships, mysterious policemen, figures in country lanes and even two eerie toilets, this book relates to the spooky sightings and ghostly goings-on in Cardiff and the Welsh Valleys.